If you are reading this, you probably know that our beloved Sarge passed away recently at age 16.75 years old. He left behind a legacy and list of accomplishments that would cause most humans to feel jealous. Considering he did it all in two years (after 14 years of neglect and abuse), he should probably be up for sainthood. Sarge was a Facebook phenom. He stopped traffic. He got special requests from the nursing homes he visited as a therapy dog. 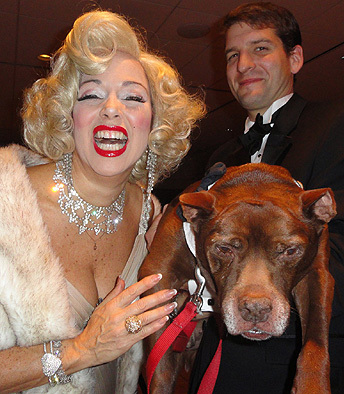 He dined with mayors, state legislators, political candidates and even Marilyn Monroe impersonators. He’s been memorialized with his own trading card, poster, tattoo, painting, stained glass ornament, necklace … the list goes on. Sarge also had terrible gas. He snored like a chainsaw. He could be ornery like a teenage girl. He had no objection to peeing in the living room. Did we mention the gas? I don’t mention these things to diminish Sarge’s legacy. I mention them to remind us all that the Superman we saw in public, was also the Clark Kent we had right at home. That fact holds true for my entire household. 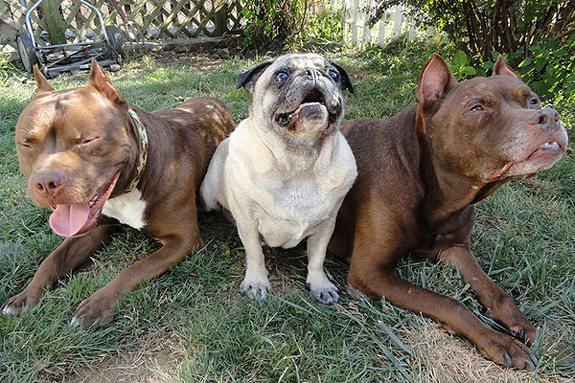 Not one of our dogs (except for Mary Todd Lincoln – the neckless Pug) was a hot commodity at the shelter. Cappy and Fannie were on their second shelters when we adopted them. Kennel attendants said people were too afraid of Junior to go near him. People gave up on Nancy. Martha was too old and fat. All of them have turned out to be amazing dogs. Maybe we were able to see the superhero in each of our dogs when we adopted them, but we’re not really all that dog savvy. We just gave some shelter dogs the opportunity to be family dogs – and superheroes are what we ended up with once we were a team. 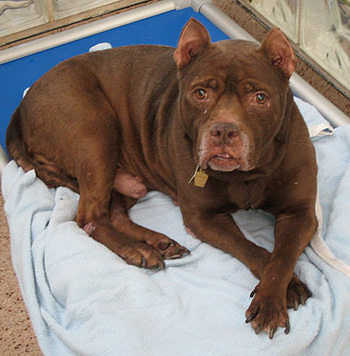 Let’s remember that Sarge spent five months at the shelter. Three of those months my wife Kim was working there. Those are the same three months that I was volunteering there. We didn’t adopt him. Never considered it. Yet once we did, Sarge became the original Elderbull and helped change the landscape for so many that came after him. He even inspired us – the non-dog-savvy-people – to adopt two more shelter pit bulls: Martha Washington, adopted at age 8, is now a certified therapy dog; and Junior, adopted at age 2, is Sarge’s stunt double. He loves our Pug Mary Todd as much as Sarge did, even though she has no neck. Sarge taught us many lessons in his life, but even dogs who become mega-stars like him are just regular dogs at the shelter and at home. Sarge was special, but he wasn’t unique – there are other Sarge-like dogs out there in your local shelter, waiting for someone to see their superhero potential and give them a chance. Perhaps part of Sarge’s legacy is this: His ultimate superhero power, revealed during his life, is the amazing resiliency of dogs. Sarge taught us that while the kennel card or Petfinder description might place heavy significance on where they’ve been, most dogs are only focused on where they’re going. It’s up to us to bring them there. So that’s where we went. Forward. We got to know, cared for and loved the dogs in front of us. We left their past on the kennel card at the shelter and began new adventures together. With no baggage to shoulder and no misconceptions to correct, dinner with Marilyn Monroe seemed entirely plausible. And we did it. So, go out and find the next Sarge or Martha or Junior. There are so many dogs at the shelter that will reveal their secret powers as superhero dogs, no matter what their past, once they’re part of a loving family. So I ask, who is your superhero? They’re probably waiting at the shelter for you. I love this. Thank you so much for such a lovely homage to a wonderful dog and to the potential of all shelter pets. What a wonderful tribute to Sarge and all shelter dogs, and a good encouragement for everyone to find their new superhero at a shelter near them. Thank you. Thank you for finding Sarge and sharing his new life. What a wonderful article about a most wonderful dog! All of my dogs are rescues, most of them dogs that seemed unlikely to get a second chance (one is permanently missing a large patch of hair, one is missing an eye, one is deaf, one was brain damaged). They are all the most remarkable dogs, each with a unique personality. I think that these second chance dogs give you back more love than you could ever have imagined. 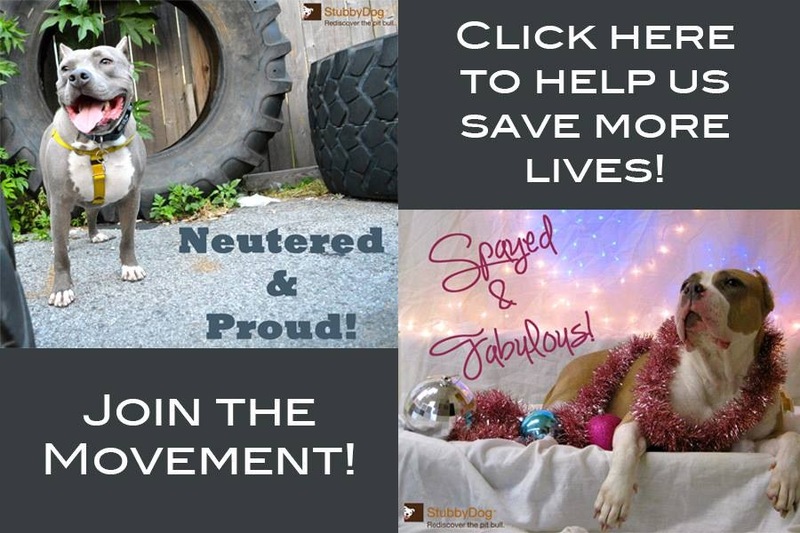 @rhengen Thanks for sharing and giving your dogs a well-deserved second chance. I love your statement: “Sarge taught us that while the kennel card or Petfinder description might place heavy significance on where they’ve been, most dogs are only focused on where they’re going. It’s up to us to bring them there.” Makes me a little teary eyed. This statement is so very true and not spoken enough. Thanks for reminding us all what is truly important — the sweet dog in front of us. 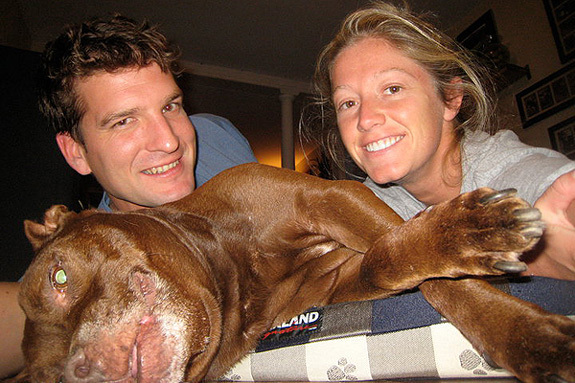 And thank you for bringing Sarge into all our lives and hearts. He was such a wise old soul wasn’t he?! Teary eyed……Just an Awesome Tribute to an Awesome dog!!! Kennel Dogs are always Best…. They all have SO much love to give,they are just waiting for us to give them a chance! @Reta Gordon Sarge taught many lessons in his life, and one of them is illustrated in this story, there are so many dogs waiting in shelters for someone to unleash their superhero potential. All four of my dogs were Superheroe’s in waiting.. Waiting until they found my house, that is. Each one left the streets or the shelter and became a part of our pack. Each of my pets is a wonderful spirit, only discovered, though, when given a chance. Each of us can do this and each one of us will gain so much more in return for letting our four legged friends unfold their true selves. My beautiful girl’s a rescue and I wouldn’t have it any other way.